A tribute to all these young men who perished fighting for the freedom we enjoy today. We leave Dinant and pass by the Bayard rock where an engraved stone indicates the place where three German soldiers, driving an American Jeep and dressed in American uniforms, jumped on a mine. It is the closest point to the Meuse reached by the Germans during the Offensive of the Ardennes. At the Celles crossroad we will also see a tank of the 2e Panzer Division. 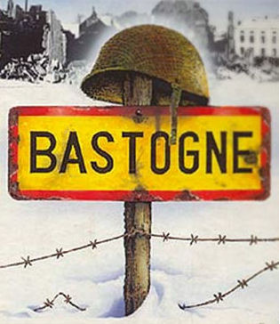 We'll stop, on our way to Bastogne, at the village of Bande, were 34 young civilians were shot and dumped into the cellar of a destroyed house, on Christmas Eve 1944. 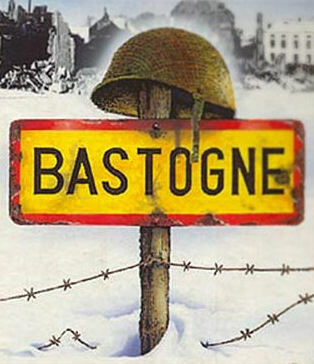 We drive then to Assenois ("pillbox" where Lt. Boggess met the 101th Airborne Division, thus breaking the encirclement of Bastogne), and Bastogne, where we stop at the McAuliffe Square (11th Armored Division "Thunderbolt" Sherman tank, "Road to Liberty" milestone and the McAuliffe Monument), and continue to the Mardasson Memorial. We continue again to Bois Jacques (foxholes of the "Easy Company", well-known from the "Band of Brothers") - Foy - Noville (Combat Team Desobry) - Recogne (US temporary cemetary and German cemetary). If there is time left before driving back to Dinant, we also visit Schumanns Eck (Luxembourg).